Our kids need to know the deep, abiding joy found in God through all circumstances, and that starts with teaching Bible verses to children about joy. Why is teaching kids about joy so important? Why must this be a huge goal for all Christian parents? And what does teaching kids bible verses about joy really look like (in everyday life)? Let’s look at each of these joy Bible verses. Of course we want to give our children good things. God wants to do that too (the Bible even talks about that here). But we must teach our kids that the “good things” of the world don’t always bring happiness. We must teach them that instant pleasure doesn’t necessarily equal ultimate happiness. Likewise, we must also teach that God can use the “bad things” (or the trials) in this world to discover true happiness. God often delivers the full, rich, life he promises through very unpleasant—decidedly unhappy—situations. If our kids equate happiness solely with momentary pleasure, they’ll miss many of the life lessons that grow them into godly, confident kids who exemplify biblical truth in the world. Teen depression and suicide rates are higher than ever before. Of course these are complex issues with many contributing factors, but how could these tragic statistics change for the better if we taught kids at an early age that a self-centered life is an express pass to depression and unfulfilled desires? We hear stories everyday of couples who divorce because their partner isn’t making them “happy.” How could we save future marriages from divorce if our kids learned to not make huge decisions based on emotions (instead of relying on commitment and hard work)? What if we taught our kids to how to work through challenges so they could discover deep, unconditional joy? How can our children learn perseverance through tough situations (and even experience joy in spite of them)? We must teach our children how to discover real happiness and joy, and that starts with teaching kids God’s perspective on what it truly means to have a joyful life. That’s why I recommend the Joy Full 5Rs Bible Study™ Journal to anyone who wants to teach Bible verses to children about joy. In only 6 weeks (and in less than 10 minutes a day), kids will analyze and apply 30 Bible verses about joy to to their lives using the innovative 5Rs Bible Study Method (read more about the 5Rs here). Wouldn’t you agree that helping kids understand more about biblical joy and happiness can encourage them to be the well-adjusted, confident kids we know they can be? Abiding joy and happiness are found in God himself. Eternal joy and happiness are part of God’s good plan. Unshakeable joy is built on foundational trust in God’s love. Lasting joy and happiness are found in obedience to God. Cultivate joy by confidently trusting in His promises. 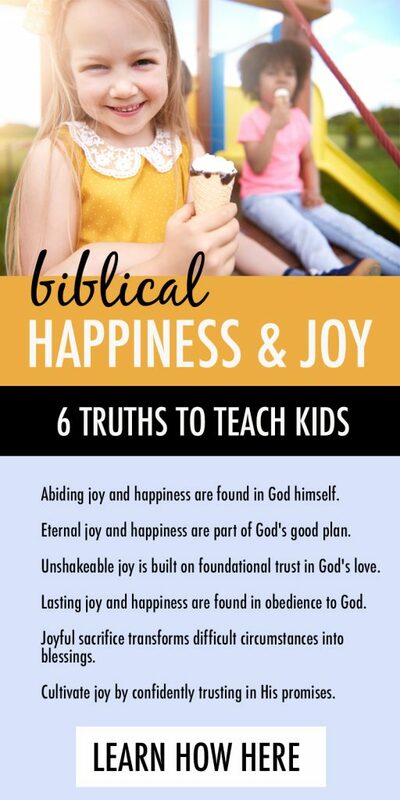 Want an easy way to teach these important biblical truths about joy to kids? Then you’ve got to get the Joy Full 5Rs Bible Study™ Journal! This beautiful 84-page, full-color journal makes it easy to teach children about joy. Each day your kids will apply powerful scriptures about joy to their lives using the 5Rs Bible Study™ Method. 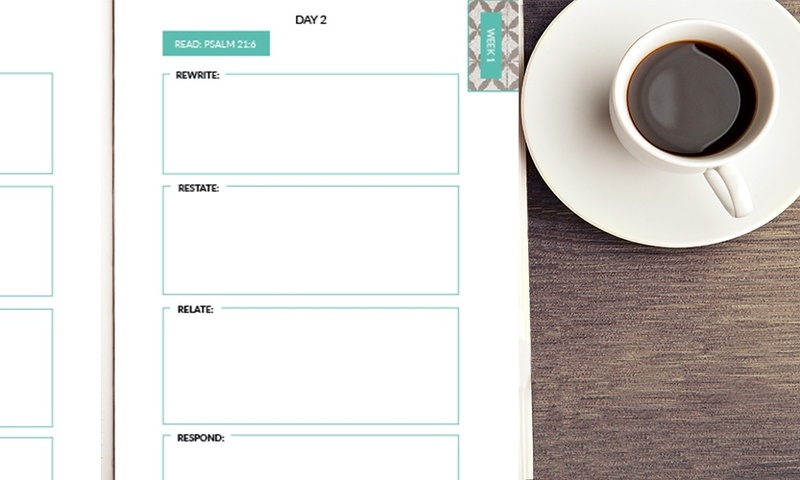 Then, at the end of the week, the discussion questions, journaling prompts and additional scriptures in each week’s the “Reflect” section makes it easy to have meaningful family discussions with your kids about the topic of finding true joy. Or click here for a free sample of this joy Bible study journal. 1. 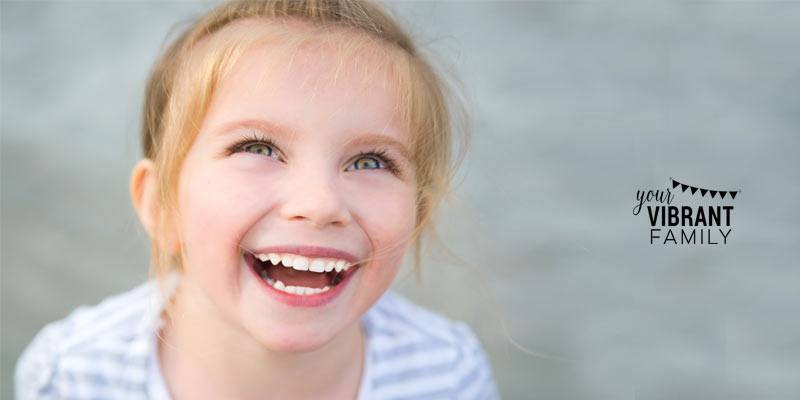 Encourage kids to memorize Bible verses about joy. 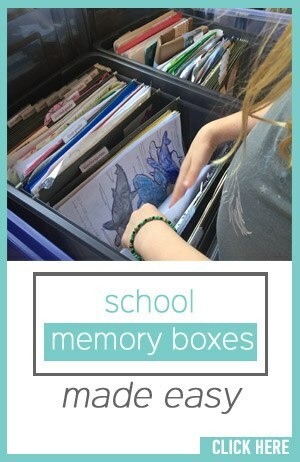 This post has some awesome examples of fun bible verse memorization games and other easy ways that kids can memorize Bible verses about joy. 2. Model biblical truths about joy in your own life. Share with your kids–regularly–what it looks like to life a joy-filled Christian life. Don’t be afraid to share life’s difficult moments with your kids, because these are often God’s path for us to discover authentic joy. For example, our family had to walk the path of unemployment for more than 18 months, and let me tell you, it taught all of us (including our four kids) how to find joy and happiness in every circumstance. But the best way to teach kids about true joy and happiness is this: Teach children how to study the Bible and how to study joy Bible verses at the same time. 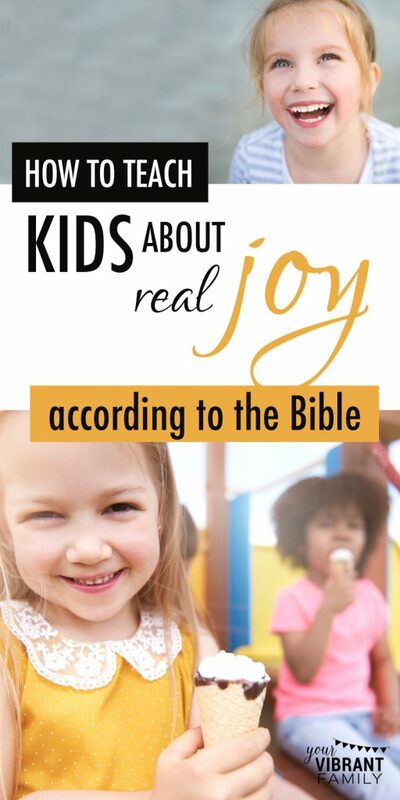 The Joy Full 5Rs Bible Study Journal uses a simple technique (the 5Rs Bible Study™ Method: Read, Rewrite, Restate, Relate, Respond) to help kids really understand and apply 30 verses about joy and happiness. With 30 Bible verses on joy, the Joy Full 5Rs Bible Study Journal teaches kids how to easily and simply study Bible verses about joy–on their own–while teaching them the valuable skill of how to analyze and understand any Bible verse. When kids have all 5 steps of this amazing Bible method right in front of them, it makes it easy for them to understand and apply these verses about joy. For your convenience, the Joy Full Journal is available in either digital or pre-printed versions. Remember, you can also try a free sample of this awesome joy Bible study here. And if you want your kids to get a solid understanding of biblical joy, I highly recommend the Joy Full 5Rs Bible Study™ Journal!